As the automobile technology advanced, it also improved and enhanced the safety systems to ensure a better user experience. Today, the anti-lock braking system is a part of almost all the modern vehicles. It is specially designed to help you regulate the braking ability of your vehicle in case of an emergency. These parts work in combination to ensure that the vehicle is stopped effectively and safely without skids when the brakes. Maintaining the other proximal components is also important for effective brake function, such as the rotors, valves and the bearings. Once the brake system starts showing problematic symptoms, you should address it as soon as possible instead of waiting for it to completely seize. With time the brake system can get weaker and may fail completely. Regular maintenance should ensure that you check the wires, electrical connections, and cleanliness of the sensor area. What is an ABS Ring? Anti-lock braking system consists of a controller, a speed sensor, valves, and the ABS Speed sensor ring. The system maintains the traction of tires on road and the performance of the brake against high speed is significantly improved. ABS speed sensor ring is the main component of the entire system, as it carefully monitors the speed of wheels and transmits important signals which can alert the system electronically. These rings come in various designs, depending on the type of your vehicle, the location of the sensor on your vehicle and its design. Certain designs are installed in the front and rare region of the driver area while others are installed in the front and rear parts of the passenger regions. The ring installation greatly varies with the ABS system design. The ring may be concealed or open, but to make sure that the sensor works accurately and properly, we must ensure that it is maintained and kept clean. When the brake is heavily pushed, the extra force that is put can lock the wheels with help of brake discs which can cause the vehicle to skid along the road. This is very dangerous, which is mitigated by the ABS ring function. with the help of the ring, the difference is sensed by the ABS sensor and signal is generated to the controller. In case the ABS ring is failed, the ABS controlled will receive improper readings. There are many things that can cause your anti-lock brake (ABS) light to come on. Some of those things are serious, but oftentimes it just means you need to give a little attention to your car ABS. Since the location of the ABS ring is mainly exposed to the undercarriage of your car they are likely to catch contaminants as your car ages on the miles. The most common contaminants could be water, dirt, debris, etc. Also, usually your rear ABS rings are not made up of exceptional materials so they are likely to get even more damage over time compared to the front rings. The most noticeable indication of a problem with the ABS system is that the ABS Light will come on the dashboard of your car. The ABS Light might as well be called the Check Engine Light in some cars that don’t have a separate indicator light for the ABS framework. At the point when the light is illuminated – this is typically the principal sign that will tell you that there might be an issue with your car’s ABS system – you have perhaps developed an issue with one of the system’s sensors or ring. The issue could be small such as just a dirty ABS sensor, but it could be serious if it’s because of a faulty sensor or ABS ring. The brake paddle of your car might sometimes judder or make a rapidly banging noise unnecessarily at low speeds just like it does while driving on ice. Which means your ABS system is engaging unnecessarily at a lower speed. This is a clear indication of a faulty ABS ring. 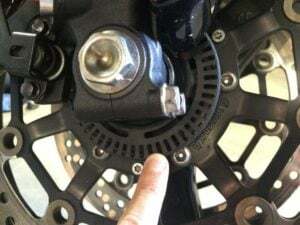 The faulty ABS ring is not considered to be a fault by the system, which is why the ABS warning light does not illuminate at first but it lights up only when the system has completely shut down. On different occasions, it may even go on and off several times. A flawed ABS ring delivers an incorrect signal, which tricks the cars electrical control unit to start the Anti-lock Braking System just before the vehicle comes to a stop, or even switch off totally which decreases your vehicle control and increases the ceasing distance. Usually, in numerous circumstances, you only need to change the ABS rings, complete replacement of the drive shaft and/or joints is not required. During substantial braking circumstances, the ABS system must normally activate to assist in reducing the speed of the vehicle, while traction loss and skidding should be eliminated or reduced to an insignificant amount. 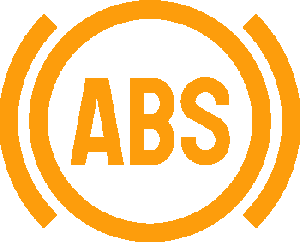 If you notice that the vehicle is taking more time to stop under overwhelming braking circumstances, or is skidding and losing traction then this is an indicator of faulty ABS system. This could be due to over corroded ABS rings or a cracked ABS ring which sends a faulty pulse to the ABS controller disrupting the ABS braking process. Usually, the ABS speed sensors to be mounted at the wheels in most modern vehicles the common design. ABS rings can be classified as front rings and rear rings. The front ones are mounted on the hub of the wheel bearing and concealed between the steel plate and brake disc. The rear rings can be found on the rear driveshafts before the connection with the wheel hubs, and relatively a lot more exposed compared to the front rings. On top of that, the quality is not considerably better than the front rings, which puts it in a more vulnerable condition. If you have a 4×4 cars, you will most likely find the ABS rings on all the driveshafts. It can also be found inside the differential in some cases. 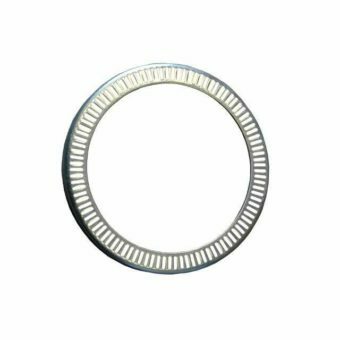 The cost for replacing the ABS ring can be highly variable based on the manufacturer, the brand, the type of your vehicle, the type of the ring being replaced and the supplier. Although it’s a small component, it can sometimes be expensive, while mostly it is very reasonable. It is relatively easier to replace an ABS ring by yourself. Therefore, in the case where you can and need to replace only one ABS ring, you may need to pay an amount ranging from $40 to as high as $150 on average for most vehicles. Labour costs are not involved in this replacement cost. By hiring a technician to do it, you may need to pay an extra of $50 to $150. The labour cost is sometimes even higher than the part itself, which is mainly because the replacement process involves removing wheels and many other parts which could be time-consuming. But then it also depends on the technician and what he is going to charge you for it. On some cars, the ABS Ring is fitted on the disc/wheel bearing and you have to replace the whole disc/bearing in some cases. It’s important to maintain the ABS ring and keep it in an accurately working condition. Since it is the most vulnerable part, it could need a replacement sooner than other components. Here is a step by step guide on how you can replace the bad ABS ring yourself with a new one. Remember that it’s depending on which car you have. This is only a general guide of how to do it. Acquire the tools that you would need, i.e. Jack, wrenches, screwdriver, puller etc. Keep a service manual with you for reference. Use protective gears, such as goggles and gloves. Support the vehicle’s front end with a jack stand at a stable position. Remove the rotor, hub, and the calliper as needed. Refer to the service manual for guidance. Remove the ring careful to prevent breaking any other parts. ABS Rings should not be repaired. Always use a new one. Place the ring on the hub and carefully push it in in a firm but gentle manner. Take a test drive and check for optimal performance. When the ring goes bad, you really need to know if that is the problem, since the same problem could because due to many other reasons related to the ABS system. For carrying out a diagnostic procedure, you can follow this brief procedure guideline. Acquire the tools required and the service manual of your vehicle. Check to see if there is a noticeable gap anywhere along the ring circumference. If there is any such issue, replace the ring. Dot 3 vs Dot 4 – What is the difference?